Since the identification of Alzheimer’s disease over 100 years ago, the condition has been better clarified from the perspective of symptoms and signs leading to better and earlier diagnosis. Additionally, this has been coupled with improved diagnostic testing. As with most medical conditions, the development of medication treatments to improve the condition symptomatically, to slow the progression of the disease, and/or eradicate the disease, have been severely lagging. Over the past 20 years, we have developed cholinesterase inhibitors, which are able to stabilize the condition over a period of time. They do not cure the condition, but are helpful in the treatment of patients with Alzheimer’s disease. These medications were developed as biochemical knowledge of the condition of Alzheimer’s disease became better known. We are now at a point where we are looking to advance our potential treatments much further. We have identified molecules, such as amyloid and tau, which are involved in the pathophysiology of this disease and we are in the process of developing treatments to eradicate these toxic substances. Clinical research cannot proceed, however, without the participation of patients along with their care givers and family members. While scientists may develop potential new therapies in the laboratory, the only way to clarify their effectiveness and their safety is through the use of clinical trials. While participation in clinical trials is a significant donation on the part of the patients and their families from the perspective of time and involvement, they have the satisfaction of knowing they are contributing to an important undertaking. This participation may lead to a better understanding of the condition of Alzheimer’s disease; it may lead to further treatments which might benefit them as well as future generations. Patients tell us that they feel more fulfilled knowing that they are contributing to the advancement of treatments for Alzheimer’s disease. Finally, and perhaps most importantly, from a personal perspective, it has long been noted and published that patients participating in Alzheimer’s disease clinical trials do better on average over time than patients who are not involved in such trials. Even patients who are on a placebo consistently outperform patients who are properly treated, but who are not participating in clinical trials. 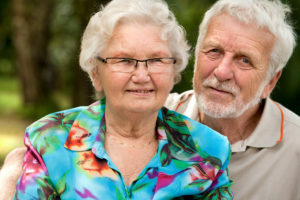 While our patients report that there are clear benefits, both socially and emotionally, which they directly recognize while participating in an Alzheimer’s disease trial at our site, some neuroscientists have suggested that there may well be a neuro chemical underpinning to the research patient’s superior performance perhaps relating to higher levels of neuro protective factors in such patients. This is an active area of neuroscience research.